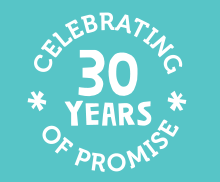 Since our first years in Camden, the UrbanPromise model has been replicated throughout the United States and around the globe. In the 1990s, sites were launched in Vancouver (British Columbia), Toronto (Ontario), and Wilmington (Delaware). In 2003, UrbanPromise's first location in Malawi, Africa began when a former intern, William Nyasulu, created the organization YouthCare. UrbanPromise International was then established to formalize the replication process and provide the support necessary for the model to be used in other communities worldwide. To date, five more ministries have launched in Malawi: RiseMalawi, ChristCares Ministries, ProjectTEACH, Rays of Hope, and Cornerstone Ministries. In 2009, UrbanPromise Honduras began full-time programs. 2010 saw the beginning of UrbanPromise Miami and in 2011 UrbanPromise Trenton was launched. Our first site in Uganda, Mukono Urban Ministries, began in 2013, and we are excited to announce a pilot program for UrbanPromise Charlotte (North Carolina) in early 2014. All of UrbanPromise's locations and affiliate ministries strive to achieve the same goal: to provide children and youth with the support needed to succeed academically, grow spiritually, and develop into leaders who can bring positive change to their communities.